Raised on farms in and around Elgin, Illinois, Joe started working at sales barns at the age of 15. 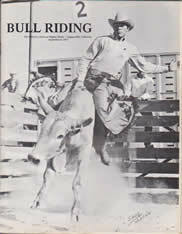 He started young horses and followed the professional rodeo circuit riding saddle broncs and bulls. Joe moved to California in 1963. While operating a boarding stable that included a rent string, Joe attended Orange Coast College for 2 years majoring in animal husbandry. He served as senator on the student council and received the Onyx Award for outstanding service. He transferred to Cal Poly University for 2 years majoring in animal science. He studied horseshoeing for 2 years with the famed Dr. KD Butler, author of “Principals of Horseshoeing” and many other publications. Joe served as senator on the student council representing the Agricultural Department. While working part time with thoroughbreds at tracks such as Bay Meadows, Santa Anita and Los Alamitos, Joe’s articles on shoeing, starting young horses and thoroughbred racing were published in several books and magazines. He qualified for many rodeo finals both intercollegiate and professional. He served on the Board of Directors as Saddle Bronc Riding Director for pro rodeo. During this time he would also build and manage a 400 horse boarding stable in north Laguna. Because of Joe’s expertise he was hired by hunter jumper professionals to train the difficult and young horses. In 1976 Joe transitioned to the hunter jumper industry full time. He opened Stoneridge Riding Club and for 20 years developed riders from total beginners to winning show riders. His students competed and won at the grand prix level and won numerous year end championships in the junior jumper and open divisions. Many of Joe’s students went on to become very successful professionals at the top level, working both here, Mexico and in Europe. Many famous names would pass through Stoneridge, including Rodney Jenkins and George Morris to name a few. Stoneridge became a first class training facility. Levels started with beginners and Girl Scout badge lessons to the Grand Prix level with all levels of teachers employed there. Showing from the A shows and down to the county and schooling shows Stoneridge dominated the fields winning more often than not. Guest educators included, George Morris, Jimmy Kohn, Bert De Nemethy, Kathy Kusner, Rodney Jenkins,and Frank Chapot and others. Stonerige would sell to top porofessionals such as, Jimmy Williams, Jimmy Kohn, George Morris, Scott King, Meredith Michaels Beerbaum, Candice King, Mike McCormick, Shari Rose, and John Anderson. Joe’s involvement with the Orange County Horse Show Association was a key element to its success. With the Stoneridge team taking up most of the Board of Directors the year end championship show became quite impressive with a $10,000 purse to the winner of the high jump and a car to the winner of the hunter classic. Top judges were brought in including Linda Hough and the competition was filled with top riders. The exhibitors were treated to no entry fees as they qualified throughout the year and they enjoyed a very special show. When Stoneridge left the board, the year end championships would never be the same. Sadly, an abundance of fees and no prize money for the high jump has made it quite average, but memories still remain of the past success of OCHSA. 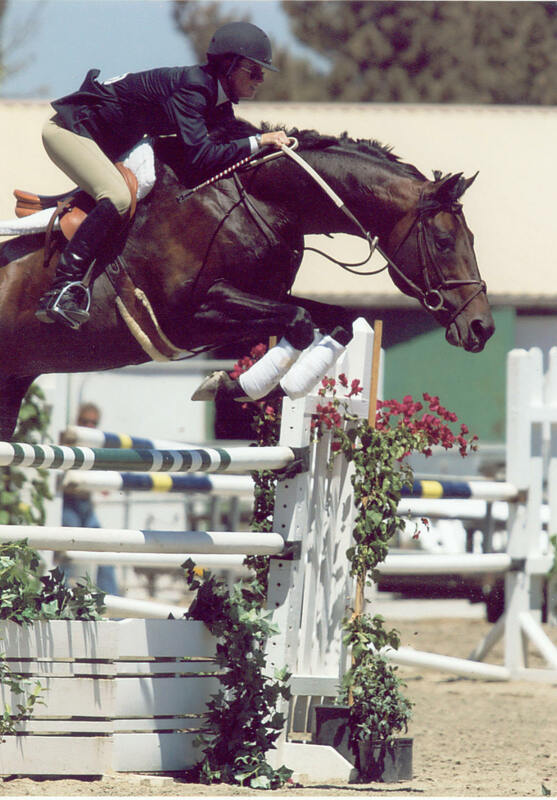 After marrying Katie Boothe in 1992, Joe started Pacific Coast Show Jumpers which is still in business today. Training Katie to the grand prix level, they competed all over including the international divisions at Spruce Meadows and La Silla. In the 90’s his training helped put Katie in the world rankings of showjumping. Joe is sought after for his expertise and is a professional’s professional! Several have and will come to him for schooling and good advice. Joe’s latest is Olympic rider Damien Gardiner who Joe has been ground man for. Damien is very particular about who is on the ground for him, but he trusts Joe 100%. The list of famous riders and trainers who look to Joe for help and advice is impressive and continues to grow today. He is very discreet and while it’s an impressive group it remains private. Located at Sycamore Trails Stables in San Juan Capistrano California, Joe continues to train juniors amateurs and professionals. As he has for the past 30 years. His students compete at the A shows and are successful at all levels. Students attend clinics including George Morris, Leslie Howard, Joe Fargis and Kathy Kusner. Joe has also become a certified trainer with the USHJA. He continues to sell horses today to top professionals like Scott King, Carleton Brooks and Julie Winkel. Joe also works closely with La Silla and Poncho Romo. They have bought and sold over 50 horses together. Katie Lifto has extensive experience with horses. As a young junior she trained with United States Equestrian Team members Bea and Derek Di Grazia and Gwen Stockebrand. USET rider Beth Perkins privately trained Katie to the Junior/Young Rider level. At 16 she completed her first 3Day Event, complete with roads and tracks and steeplechase. At 17, Katie made the move to the hunter and jumper industry and trained with acclaimed equitation trainer Michelle Rush. Her students dominated the northern California horse shows. Katie showed in equitation, hunters and jumpers. Her mounts included national junior hunter champion Jasper Ridge and the legendary equitation horse Aloha Kid. Katie made the move to southern California and trained with top hunter jumper trainer Joe Lifto at the famed Stoneridge Riding Club. She did her first grand prix at 19 years old. There she learned to teach and train horses and riders from the beginner level to the top. After marrying Joe in 1992, she continued to show at the top level A shows around the country, Canada and Mexico. In 1997 she began showing exclusively on the grand prix circuit. The venues included Spruce Meadows and La Silla, and all of the biggest shows on the west coast. Katie showed many different horses at the grand prix level including the Olympic horse Missouri. She was ranked in the World standings in 1998. Katie’s background includes being coached by some of the industry’s top trainers including, Scott King, Jimmy Kohn, Damien Gardner, Tim Grubb and several others. Katie also has kept her teaching current by attending clinics private and public with George Morris, Kathy Kusner, Joe Fargis and Leslie Burr to name a few.